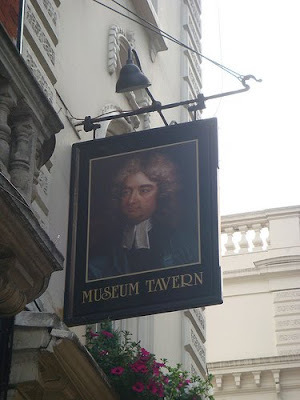 The Museum Tavern, opposite the British Museum may not seem like a particularly interesting pub on the inside, but its clientelle over the years has included many of the great thinkers who got bored of their studies over the road in the British Library Reading Room. One of the most notable regulars was Karl Marx, whose philosophy went on to shape 20th Century politics and foreign policy. Other visitors include J.B. Priestley and Sir Arthur Conan Doyle. Proof if it were needed that even the greatest literary and philosophical minds benefit from a swift half every now and again. Unfortunately, I had one of my worst pints ever here - years ago - and not only did the barman refuse to admit that the cloudy mess was off, but he drank from my glass to 'test' it! Hopefully it's much improved now.